We have a fully equipped workshop for after sales service and repairs and over the years we have built an excellent reputation for the quality of our work. Our servicing is very thorough and typically includes replacing parts that are worn or damaged, inflating tyres to pressure, checking the bearings, truing wheels and aligning and tightening all nuts and bolts. We always use quality branded replacement parts. Mechanically your bicycle will feel as new. We recommend having your bike serviced at least once a year. To service a bike costs £65.00 plus parts. There is an additional labour charge for wheel building and fitting of headsets. 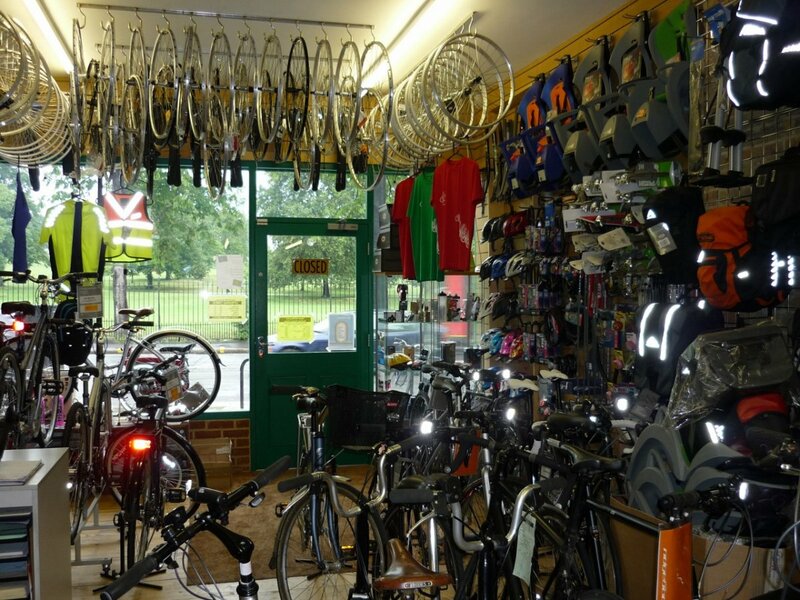 If you need a service or some major repair we welcome you to bring your bicycle along so that we can do an estimate before booking the bicycle in. (please note during busy times it may be necessary to take the bicycle away and bring it back on the day of the appointment). Smaller repairs such as punctures or fitting of brake blocks or cables can be carried out the same day - if you bring your bicycle in the morning it will be ready in the afternoon. We regret we are unable to do repairs while you wait.